Red is the color associated with love and passion. 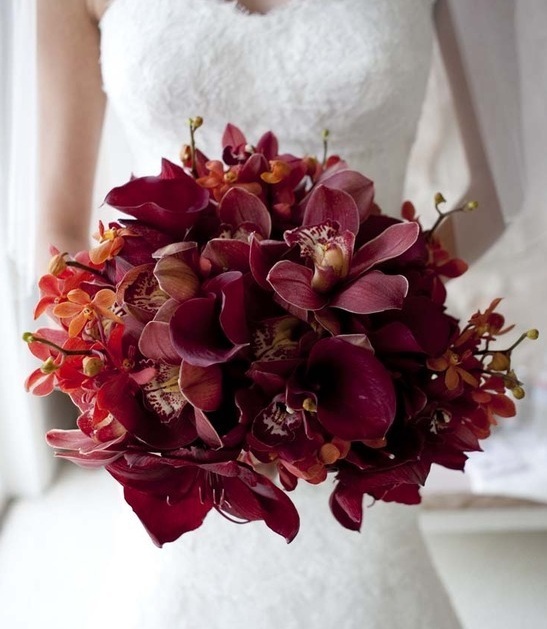 For something different to the traditional red roses consider a bouquet made up of red calla lilies and red cymbidium orchids, for an exotic and decadent wedding bouquet that is sure to turn heads and make an impact. 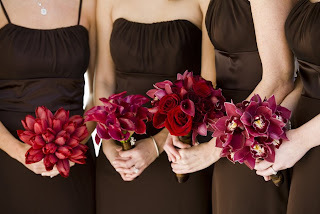 Dark burgundy calla lilies with dark red cymbidium orchids. Burgundy calla lilies surrounded by red orchids. 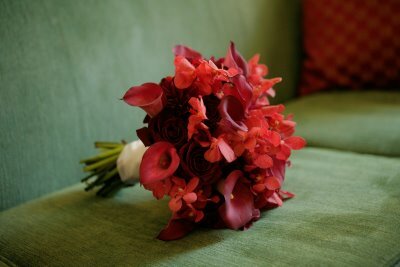 Red bridesmaid bouquets, each bridesmaid has a different flower, tulips, calla lilies and orchids. 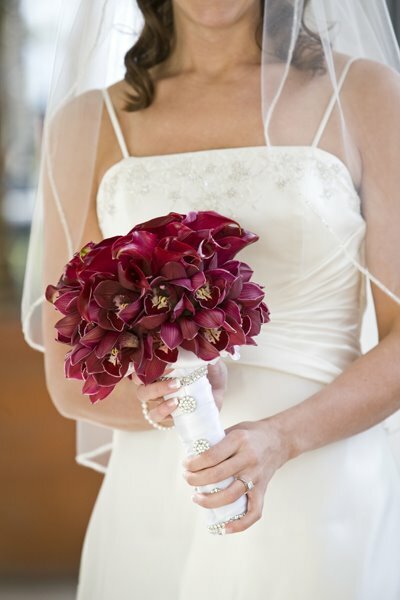 Plum cymbidium orchids mixed with small plum calla lilies accented by a plum organza partial stem wrap bridal bouquet. Red orchids and mauve calla lilies bouquet. 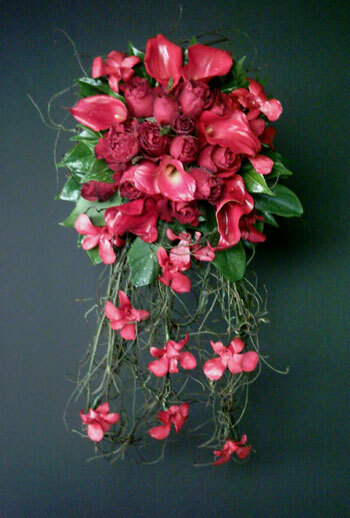 Red roses, calla lilies and re orchids cascading wedding bouquet. 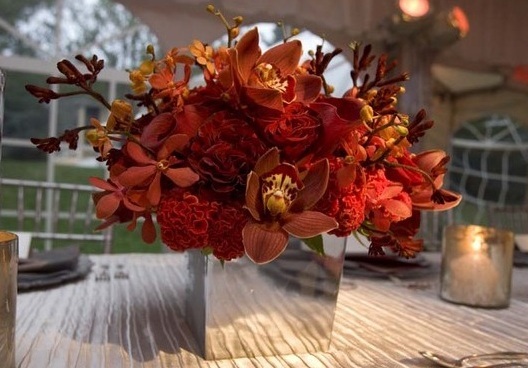 Gorgeous table centerpieces with red flowers including red orchids! 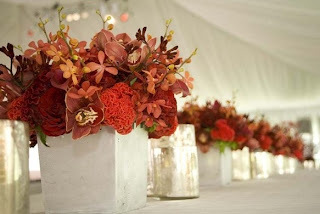 I love all things weddings and all things flowers! Bouquet Bridal blog is about bringing you different bouquet themes and inspirations for you special wedding day!